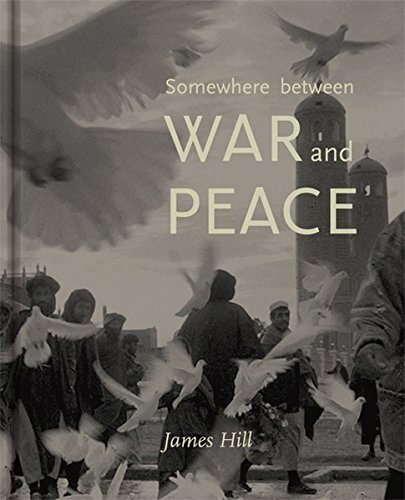 Pulitzer Prize-winning photographer James Hill of The New York Times tells the stories behind fifty of his photographs, describing the artistic and emotional choices formed by the intense kaleidoscope of those experiences. From the invasion of Iraq in 2003 to the Royal Wedding in 2011, from taking the first portrait of the notorious arms dealer Viktor Bout to the death of Pope John Paul II, Hill has witnessed some of recent history’s most poignant moments. His accounts evoke the complicated balance between professional detachment and personal involvement and reflect on the weight of watching history in its extremes. James Hill began his career as a photographer after studies at Oxford University and the London College of Printing, leaving England to work in the Soviet Union in the autumn of 1991. Plunged immediately into the strife of the war torn republics of the former Soviet Union he worked as a freelance before joining The New York Times as a contract photographer in 1995, based first in Moscow and then in Rome, from where he departed to cover the battles of the US led war on terror in Afghanistan and then the invasion of Iraq. In recent years he has returned to live in Moscow and focused his attention to project based work for The New York Times and other clients. Somewhere Between War and Peace is his fourth book. The photographs of James Hill have won many of photography’s most important prizes including World Press Photo, the Pulitzer Prize, The Overseas Press Club of America and the Visa d’Or.